See the top questions to ask a listing agent at an open house to find out more about the property and the sellers circumstances. Open Houses are a great way to START your search. They will give you (the buyer) a general idea of value, price ranges and what is available on the current market. 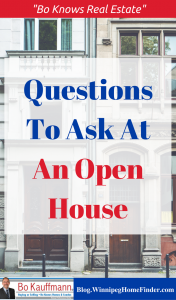 In this article my friend Bill Gassett, a top RE/MAX agent in Massachusetts, has assembled the top 10 questions to ask at an Open House. 1) Are the owners reporting any problems with the house? 3) What are the monthly heating costs? 4) Have the owners made any renovations? 5) How long have the owners lived here? Why do I feel this is important? If the answer is “about a year”, we will naturally want to know why they are moving. (Keep in mind that the REASON for moving might be personal, such as divorce or loss of job, and as such the owner does NOT have to report or disclose the reason). 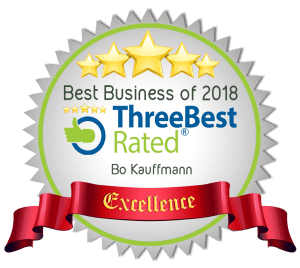 This article also includes other questions, such as ‘How long has the property been on the market?” and “Have there been price adjustments?” Here in our market, these answers are readily available from your own buyers agent, which is yet another reason to work with your own agent when looking for a new home. Under Manitoba Law, a seller MUST disclose any and all knowledge he has of hidden defects in the home. Cracks in the foundations which have recently been drywalled over! A mold-filled attic. Things that could lead to health problems or are structural in nature, but may not be readily visible to the cursory inspection. 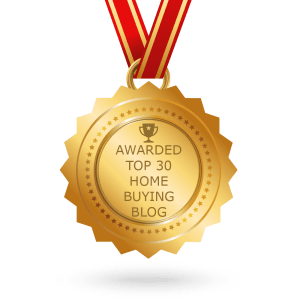 As a home buyer, it is always best to be represented by your own buyer agent.